As we near the end of the year, we invite you to join us for a time of being still, reflecting and interceding for Africa's most vulnerable: its orphaned and marginalized children. Globally, throughout eight African countries and five of the developed nations, the Hands at Work family will set aside 2 & 3 December (this week) to pray and fast. The timing is strategic: The 'silly season' goes hand-in-hand with busyness and end-of-year fatigue. Setting this time aside gives us an opportunity to maintain a healthy perspective and to deepen our dependence & trust in God. You're welcome to join us as we enter into a continuous chain of prayer from 9AM on 2 December until 4PM on 3 December. ("South Africa-time" is GMT +02:00). 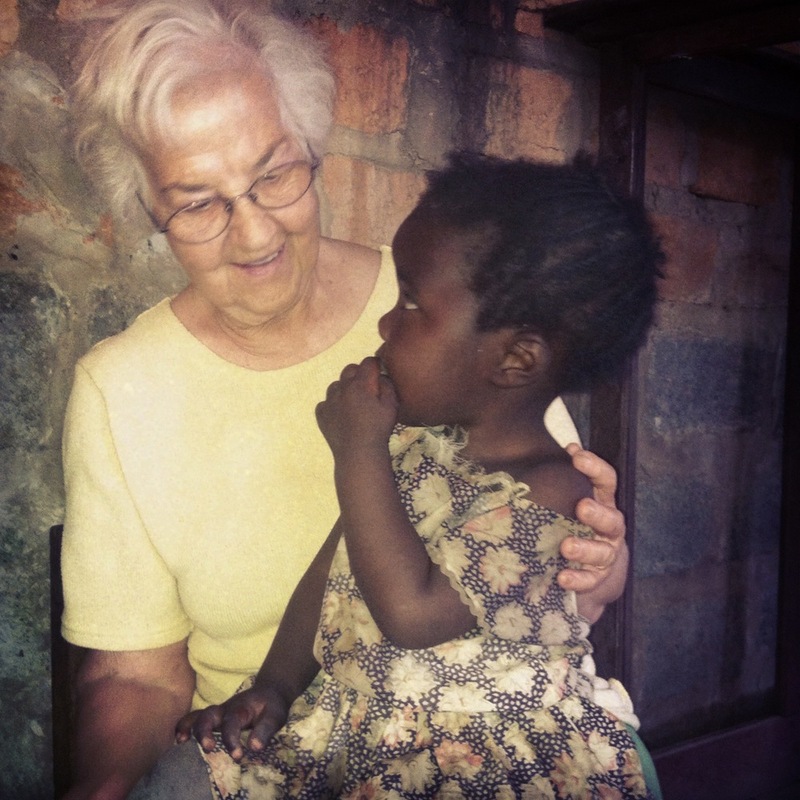 On these two days will be focus our prayer on the care & nurture of Africa's children. We'll pray for their futures, the realizing of their dreams and their salvation. Note: The Prayer and Fasting will happen in Africa on 1 & 2 December and in our global families on 2 & 3 December. The idea is to accommodate community involvement. We look forward to your feedback on what has come out of your dedicated time of prayer! Keep checking back: we will post notes on fasting and updates on the various countries we work in to help guide your prayers. David and Jane Newsome, from the UK, have been close friends of Hands at Work for about six years. Both David and Jane are pastors and the Hands family at the Hub in South Africa recently had the privilege of hearing David speak. Below we'd like to share his timely and humble (as well as humbling) message. 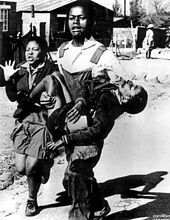 Hector Pieterson became the subject of an iconic image of the 1976 Soweto Uprising when a news photograph of the dying Hector being carried by another student while his sister ran next to them, was published around the worldWhen high school students in Soweto started protesting for better education on 16 June 1976, police responded with teargas and live bullets. It is commemorated today by a South African national holiday, Youth Day, which honours all the young people who lost their lives in the struggle against Apartheid and Bantu Education. In 1953 the Apartheid Government enacted The Bantu Education Act, which established a Black Education Department in the Department of Native Affairs. The role of this department was to compile a curriculum that suited the "nature and requirements of the black people." The author of the legislation, Dr Hendrik Verwoerd (then Minister of Native Affairs, later Prime Minister), stated: "Natives [blacks] must be taught from an early age that equality with Europeans [whites] is not for them." Black people were not to receive an education that would lead them to aspire to positions they wouldn't be allowed to hold in society. Instead they were to receive education designed to provide them with skills to serve their own people in the homelands or to work in labouring jobs under whites. This time of prayer will coincide with our two Hands at Work celebrations in South Africa and Zambia and we will post a prayer guide here and send it out via a special newsletter. Gather two or three (or more) people in a home or a church or anywhere, or pray on your own. The Lord will be with you and hear your prayers. Your people will rebuild the ancient ruins and will raise up the age-old foundations; you will be called Repairer of Broken Walls, Restorer of Streets with Dwellings.Last weekend the atmosphere at the Hands at Work Hub in White River, South Africa, was quiet and serene as the 'local' Hands family engaged in a 24-hour, devout time of prayer and meditation. It was a fruitful time of putting on the full armour of God and of asking, seeking and knocking. Thank you to our international family who stood in the gap with us. The Hands Family, South Africa, invites you to join us in a time of prayer and fasting, of petitioning, meditating and listening. On Friday, 19 November at 18:00 SAST (South Africa Standard Time) or GMT +2, the Hands Family will enter into 24-hours of praying and fasting. We will set up a schedule of 1-hour prayer slots, forming a strong chain. At 18:00 on Saturday, 20 November, with a breaking of the fast, we'll enjoy a meal together and share what God has imparted to each of us. During this week leading up to Friday evening, we will be meditating on various topics and scriptures. Check back, daily, for updates here.